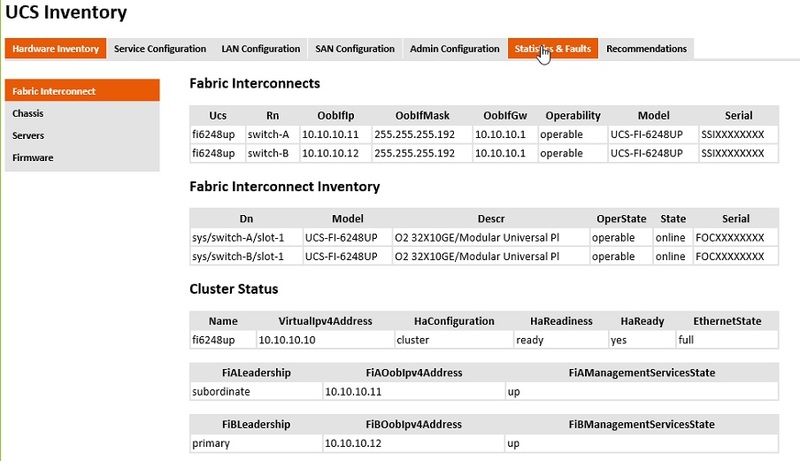 of the domain inventory, configuration, and overall performance. Monitors Faults and potential future problems, provides deeper insight on root cause contributing to faults. PowerShell scripts permanently registered as Windows services to monitor various activities and send alerts to Salesforce (Cloud CRM system). Description: The PowerShell/WinForms tool is designed to create an XML file based on a user input. The produced XML file contains settings which will be used by the monitoring services and the SalesForce REST API posting script. The “Password”, “Security Token”, and “Consumer Secret” will be stored encrypted into the XML file. The encryption algorithm is hard-coded into the tool executable for maximum security. PowerShell/C++ solution for real-time server performance monitoring and alerting. Each monitoring tool consists of a PowerShell script which runs continuously as a Windows service. 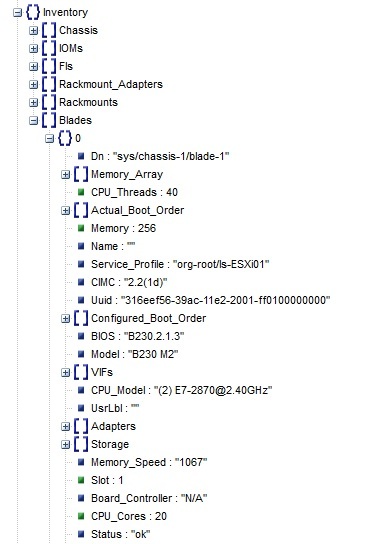 Each of these services create event logs based on parameters set in the Settings file. Services ensure the PowerShell monitoring scripts are constantly running even when the server is rebooted. uninstall to uninstall the service. The opposite operation of above. start to start the service. The service must have already been installed. stop to stop the service. restart to restart the service. If the service is not currently running, this command acts like start. status to check the current status of the service. This command prints one line to the console. NonExistent to indicate the service is not currently installed, Started to indicate the service is currently running, and Stopped to indicate that the service is installed but not currently running. The MSMQMon is monitoring all local Microsoft Message Queuing queues until one of them reaches the threshold specified in the XML settings file. Then it will create an event log stating which exact queue (queue name) has reached the quota. MSMQMon.exe.config – Configuration file that defines .NET 4.0 runtime support (Windows Server 2012) and offline service support. 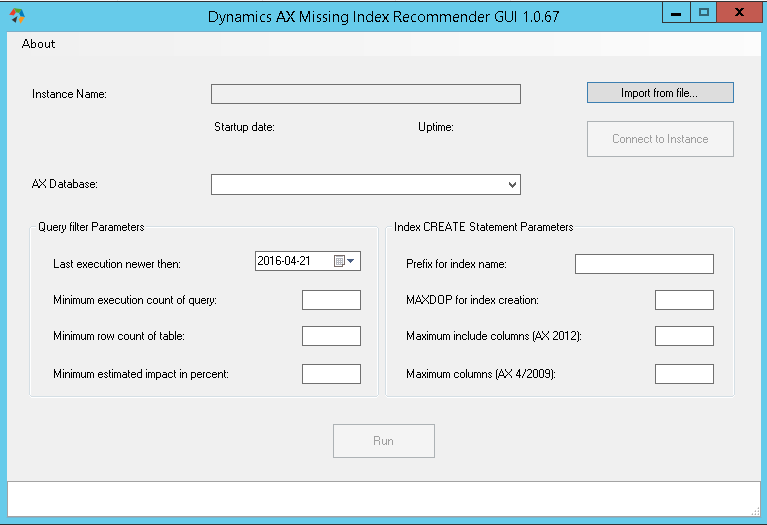 MSMQMon.xml – Configuration file that defines the service. MSMQMon.ps1 – PowerShell monitoring script. The CPUMon is monitoring the CPU utilization. 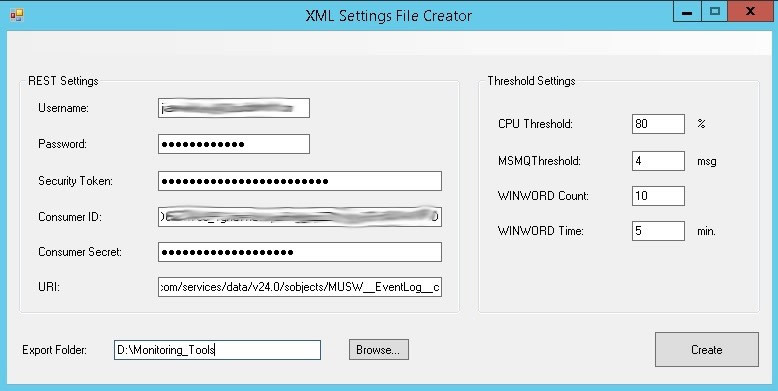 If the threshold specified in the XML settings file is met it will create an event log. CPUMon.exe.config – Configuration file that defines .NET 4.0 runtime support (Windows Server 2012) and offline service support. CPUMon.xml – Configuration file that defines the service. CPUMon.ps1 – PowerShell monitoring script. If the CPU load reaches and exceed the threshold for 5 seconds, start monitoring for 30 min. period. If the average CPU usage after 30 min. test is greater than the threshold write event log. The WinwordCountMon is monitoring the number of running WINWORD.exe processes. If the number of running Winword.exe processes reaches the threshold specified in in the XML settings file writes event log. WinwordCountMon.exe.config – Configuration file that defines .NET 4.0 runtime support (Windows Server 2012) and offline service support. WinwordCountMon.xml – Configuration file that defines the service. WinwordCountMon.ps1 – PowerShell monitoring script. Perform the WINWORD count check each 30 seconds. The WinwordTimeMon is monitoring WINWORD.exe process time duration. If a single WINWORD process runs more than a time limit specified in in the XML settings file writes event log. WinwordTimeMon.exe.config – Configuration file that defines .NET 4.0 runtime support (Windows Server 2012) and offline service support. WinwordTimeMon.xml – Configuration file that defines the service. WinwordTimeMon.ps1 – PowerShell monitoring script. Performs the WINWORD processes check each 5 minutes. Copy over the script and executable files with the exact directory structure on the target machine. The Settings.xml file must be placed in “D:\Monitoring_Tools” folder in order to be accessible by the scripts. 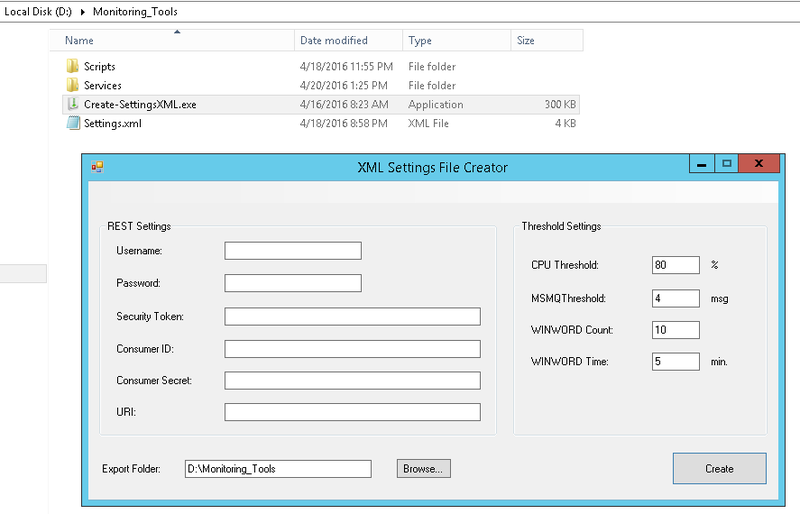 Use the configuration file generator tool (Create-SettingsXML.exe) to set the threshold and REST settings. 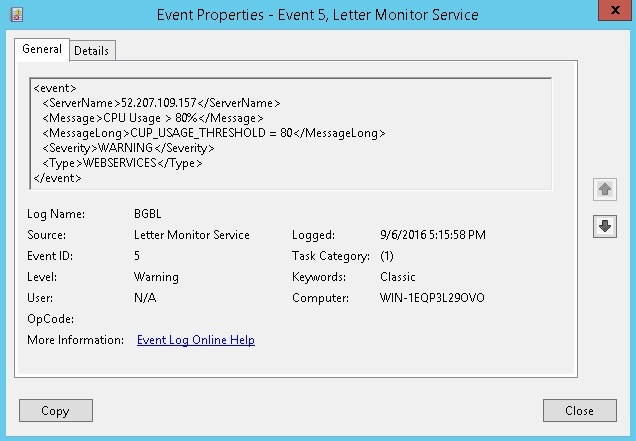 .\New-EventLogContainer.ps1 -EventLogName BGBL -SourceName “Letter Monitor Service”Please refer to the script description under “Monitoring Tools Directory Structure” section. Once the settings.xml file is generated, install and start the monitoring services. Each folder under “D:\Monitoring_Tools\Services” contains executable which is used to manage the respective service. Once a certain threshold is reached, an event log will be created and automatically send to the CRM system via REST API. 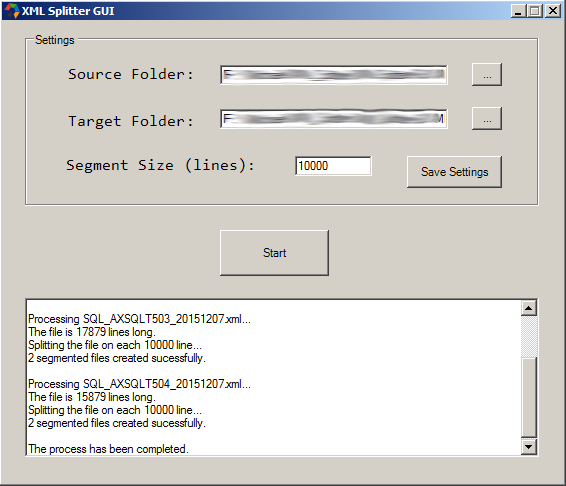 Splits XML file based of number of lines preserving the XML structure for each segmented file. 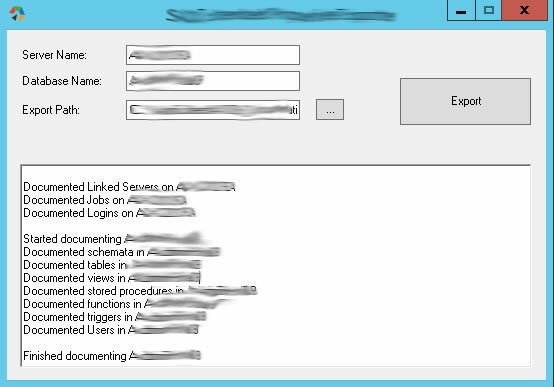 Automatically generates documentation of an entire SQL Server database. Exports in HTML format every SQL object including tables, views, stored procedures, columns, indexes, foreign keys, etc. 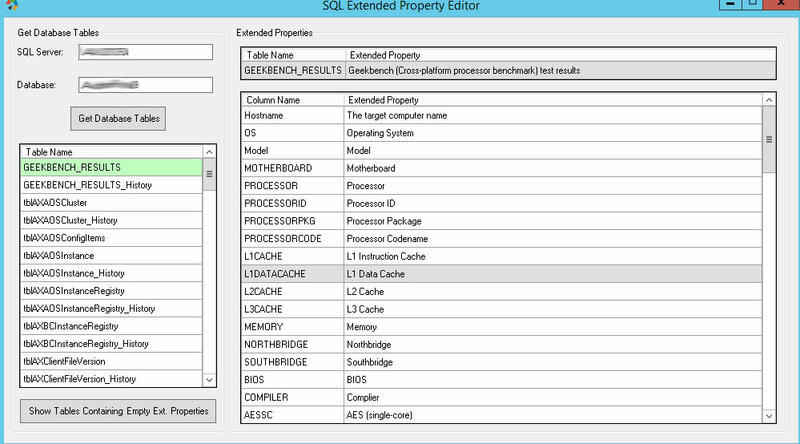 Additionally with MS_Description properties supported Extended Properties Editor can add annotations to tables and columns. Audit script that upon a recognized event, sends notifications to given email address with the relevant alert. The script is run thru an interface using the continuum portal (https://www.continuum.net/) , to a series of customers who have Windows computers. Access to this portal will be provided. The script will leave a text file (xml is fine) that holds local configuration data. No encrypted data on the local machine is permitted. Notice – based on business logic in our service, a notice is sent if an audit is slightly outside of the boundary. Warning – This is a concern that will require the attention of the compliance officer. These are compiled and emailed to the compliance officer weekly, or daily based on severity. If a computer log shows USER login after 5pm and before 8pm weekdays, a NOTICE is generated. If a computer log shows USER login after 8pm and before 7am weekdays, a WARNING is generated. Logs are scanned for 3 or more attempts to access within a 15 minute period. If 3 or more are detected, a NOTICE is generated. If 5 or more are detected, a WARNING is generated. If the computer changes the last octet of the IP address (possibly moved in the building), a NOTICE is generated. If the computer changes the IP more substantially, the SNM or the Gateway, a WARNING is generated. The SQL/PowerShell automation procedure is designed to perform off-site archiving of local SQL Server full and log backups in the form of compressed and encrypted files (7zip) which are being uploaded to Amazon Simple Storage Service (Amazon S3). Creates full backup of system databases locally. Creates full backup of user databases locally. Creates transaction log backup of user databases locally. Creates differential backup of user databases locally. Description: This script will leverage 7z command-line utility to compress and password encrypt SQL backup and log files. The folder that contains MSSQL .bak and .trn files. The folder where the compressed and password protected files are being created. Description: This script will upload 7zip archives to Amazon S3 bucket. Note: To work properly this script requires AWS SDK for .NET (https://aws.amazon.com/sdk-for-net/) to be installed on the local machine. The folder where the compressed and password protected files are stored. Description: This script will purge obsolete files in Amazon S3 bucket. An email notification regarding the job status will be send to Michael Roedeske. The script will delete all files located on the S3 bucket older than 15 days. First step will call the PowerShell script “Bak-to-7z.ps1” in order to compress and password protect the SQL database full backups files (.bak). The PowerShell script is being called with an argument “bak” in order to process only SQL full backups. Second step will call the PowerShell function “7z-to-S3.ps1” in order to upload the compressed .bak files to S3 bucket. The PowerShell script is being called with an argument “bak” in order to process only SQL full backup archives. An email notification regarding the job status will be send to the specified email address. First step will call the PowerShell script “Bak-to-7z.ps1” in order to compress and password protect the SQL database transaction logs (.trn). The PowerShell script is being called with an argument “trn” in order to process only SQL transaction logs. Second step will call the PowerShell function “7z-to-S3.ps1” in order to upload the compressed .trn files to S3 bucket. The PowerShell script is being called with an argument “trn” in order to process only SQL transaction log archives. 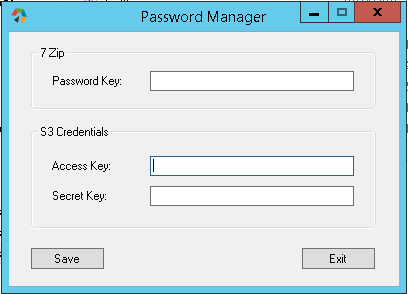 Password Manager GUI tool has been designed to securely store the 7zip encryption password and S3 account keys. 7zip password is encrypted and stored into 7zip.bin file. S3 Access and Secret keys are stored into local secure store and loaded into memory when needed. The file is located in %LOCALAPPDATA%\AWSToolKit\RegisteredAccounts.json and the keys are obfuscated- either hashed or encrypted. Note: The stored credentials can be used only by the same user who created the store. %USERPROFILE% environmental variable must be set. Variable for a list of servers. The script will perform a check if the listed servers accept WinRM connections (used for the remoting). The ones which fail will be reported and excluded from the further action. 3. 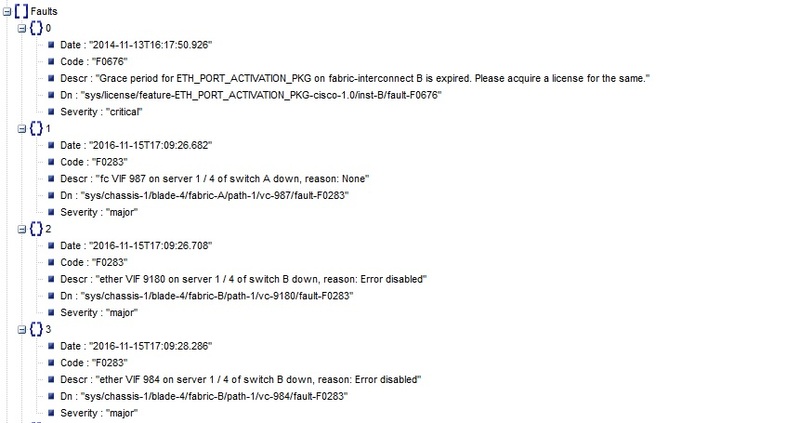 Clear the full Windows Eventlog of the servers. 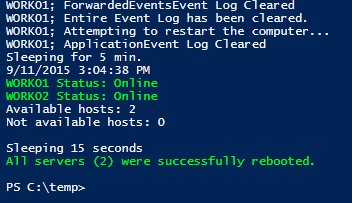 The event log deletion and restart will be performed in parallel for each available host. After the Event Log is deleted, the script will wait the servers to reboot for 10min. 5. Check if Server is up. Report successful reboot or stuck server. 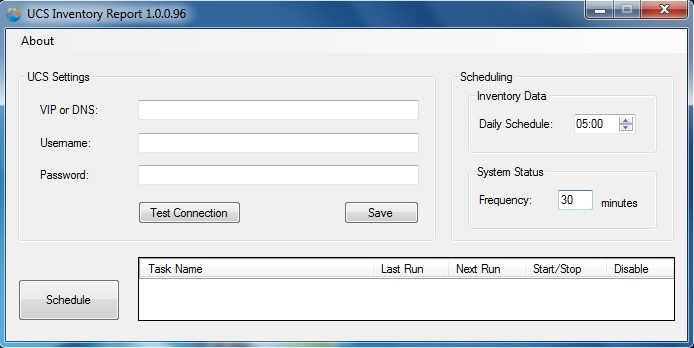 The reporting will be displayed in the console and also logged to a log file.